Limited to 150 units, this new special edition RS6 Avant is a tribute to Audi’s first-ever RS model launched in 1992. The RS6 Avant Performance is one of the wildest wagons made by Audi Sport, packing a 4.0-liter twin-turbo V8 producing an impressive 597 horsepower. But now there’s a new special edition version that takes the high-performance wagon to a new extreme. Audi collaborated with the tuners at ABT Sportsline to build the RS6 Avant Performance Nogaro Edition that pays homage to the iconic RS2 that launched in 1994 as Audi’s first-ever RS model. 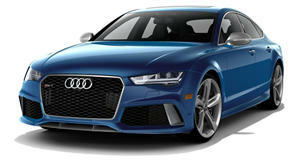 Limited to only 150 units, its name is derived from its Nogaro Blue hue paint. The eye-catching finish is complemented with an abundance of glossy black accents. It rides on black 21-inch wheels with beefy 285/30 tires and has been fitted with an RS titanium exhaust system. Under the hood lies the same twin-turbo 4.0-liter V8 as the regular RS6 Avant but Audi worked with ABT to crank up the power output to a respectable 695 hp, making the Nogaro Edition one of the most powerful wagons on the planet. Torque has also been increased from 516 lb-ft to 649 lb-ft. This potent power enables the all-wheel drive wagon to accelerate from 0-62 mph in 3.7 seconds and go on to hit a limited top speed of 189 mph with the optional Dynamic Package Plus installed. Inside, the cabin features blue Alcantara upholstery on the seats, door panels, and knee pads, along with a black Alcantara headliner, blue contrast stitching, and special floor mats with blue piping. There’s also a carbon fiber trim with “Nogaro Edition” badging. If the eye-catching blue accents aren’t to your taste, Audi also offers a Nogaro Edition black edition which replaces the blue Alcantara upholstery with less prominent black Alcantara accents. In Germany, prices for the regular RS6 Avant Performance Nogaro Edition start at 124,200 Euros (around $154,400) and 130,000 Euros ($161,600) if you want the blue accents. It’s a shame it won’t be sold in the US due to the declining popularity of wagons, but this hopefully serves as an appetizing taster for the next-generation . It’s probably not worth holding your breath, though. 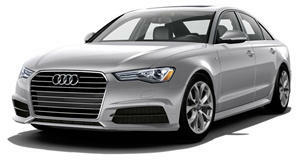 That said, Audi of America President Scott Keogh recently revealed that a to, so there is still hope.